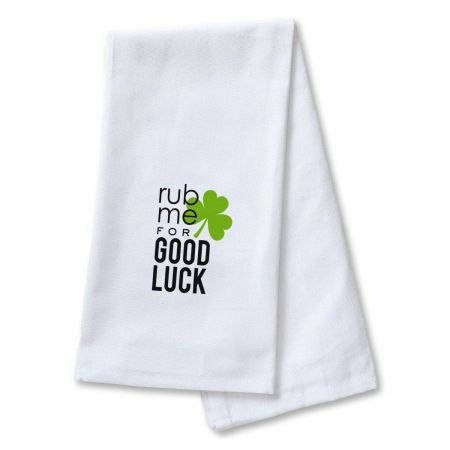 Show a little bit 'o St. Patrick's Day spirit with this white kitchen dish towel. 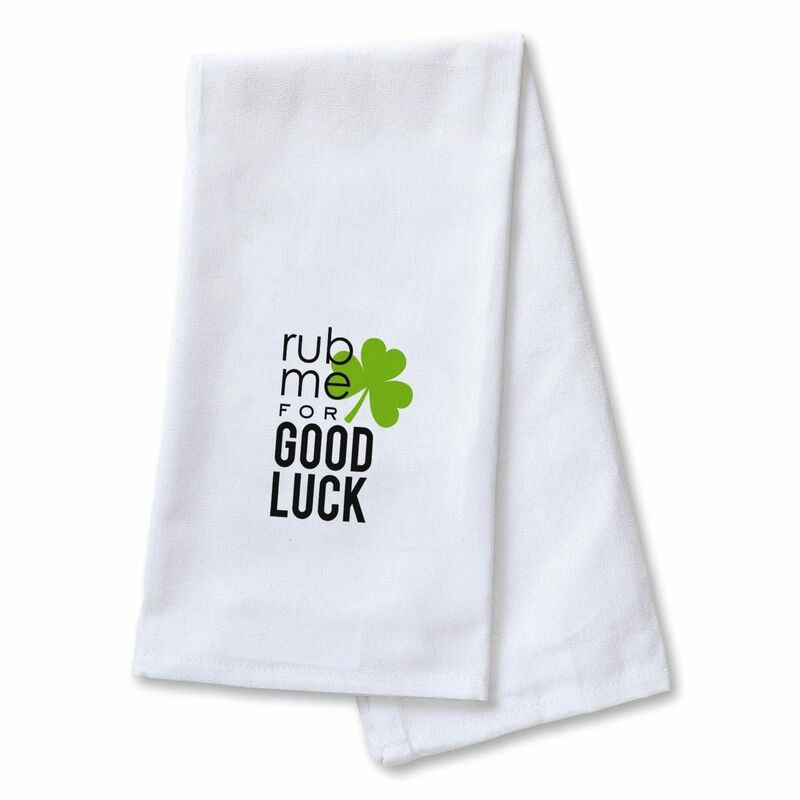 The whimsical sentiment will be appreciated by anyone who celebrates the Irish holiday and believes in the appeal of good-natured shenanigans. Design is centered for tri-fold display. Cotton; 18" x 28". Imported.